Donald Trump – The name speaks it all, a multi-talented personality with a very versatile educational background is the recent talk of the town and on the main matter of concern, he has won the 2016 U.S elections by defeating one of his tough contender, Mrs. Hillary Clinton, a wife of ex-President of U.S.A.
Apart from being an prominent personality in politics, he is also a well – known businessman in America. Under his umbrella, he has many well – furnished ventures such as; Trump Real Estate, Trump Hotels, Trump International Realty, Trump Golf, Trump Productions and many more, though he is having his expertise in various business fields, but “The Trump Real Estate” is the real focal point out of others, because The Trump Real Estate is the only real estate super brand which has numerous eminent luxurious residential, office and retail properties under their cap. Due to superior quality, cutting edge standards, detail and perfection they have succeeded in creating a really very high bench mark for their competitors globally, due to this owning a Trump property and living the high profile lifestyle is a dream for many. Trump has been really successful in raising the bar of Real Estate scenario and Trump Towers in Manhattan is one of the prime example. 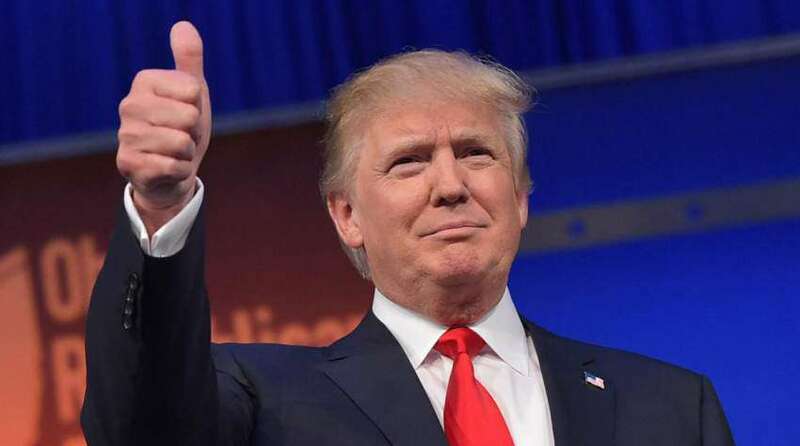 Now coming to the politics, Donald Trump tried his hands in politics in the late 1970’s when he was a supporter for The Republican-Ronald Reagan, who was the nominee for the US Presidential Elections. In 1987 he was in limelight to be identified as a Republican, after this came a serious series of reforms where he once switched to ‘The Reform Party.’ From 2001 to 2008 he was also with the ‘Democratic Party’ and after this for five months he was independent and this was the time when he realized that he should go with the Republican Party again. But he again came into the world of controversies due to his statement in 2015, when he was asked that which recent President he prefers? To everyone’s shock, he picked Democrat Bill Clinton over the Republican George Bush. We all know that he is a billionaire and this year Forbes estimated his net worth to be $3.7 billion, but in the past, he has given much higher estimates, sometimes more than $10 billion, counting all his assets he would be one of the richest presidents America ever had. Americans call Donald Trump as the ‘Man of Controversies’ due to his endless controversial comments like: During a rally at Florida in early August he said ‘Obama is the founder of ISIS’ and he also quoted ‘I would call Hillary Clinton as the co-founder of ISIS’, he also mentioned that he is talking something appropriate because the middle name of Mr. Obama is ‘Hussain’, this statement called for a worldwide controversy, but Mr. Trump was just least concerned about it. The second most controversial statement which created a rage nationally was ‘Calling for a ban on the Muslims in the U.S.’ This got Mr. Trump into a very awkward camera framing and he was also attacked by some negative comments by the global critics. Keeping the controversies apart, he also has some prominent footprints in the field of Media and Entertainment. He has also made many appearances in movies and television series. In 2003 Trump became the executive producer of the NBC Reality show ‘The Apprentice’, the show became so popular that he was able to curb a whooping amount of $1 million per episode, which is pretty extraordinary for a reality show of its kind. Referring to Filmography he has done many movies like ‘Ghosts Can’t Do It’ in 1989 to ‘Wall Street: Money Never Sleeps’ in 2010 and many more movies during this interval. In this short span, he was able to bag some 14 International Awards in various fields such as ‘The Jewish National Fund’s Tree of Life Award” for outstanding contributions to Israel-United States relations, to WWE Hall of Fame Award for Wrestling. Donald Trump was successful in proving himself that he is not only ‘The Man of Controversies’ but also ‘The Man of Global Interest’ with winning the US presidential election, he is scheduled to take office as 45th president of USA from 20th Jan 2017.